Woody's Bar & Restaurant boasts a large Family Bar and Restaurant offering an excellent variety of food and drink, live entertainment and showing live sports. It contains a large indoor children's soft play area. Outside is a substantial south facing decked area complete with seating and a large outdoor children's playground. Also on-site is a state of the art laundrette. Recently refurbished - new Linoleum and carpets throughout. New toilet. New luxurious memory foam double mattress in master bedroom plus a freeview TV to watch whilst in bed! Newly painted internal walls. New locks and keys to enhance security. 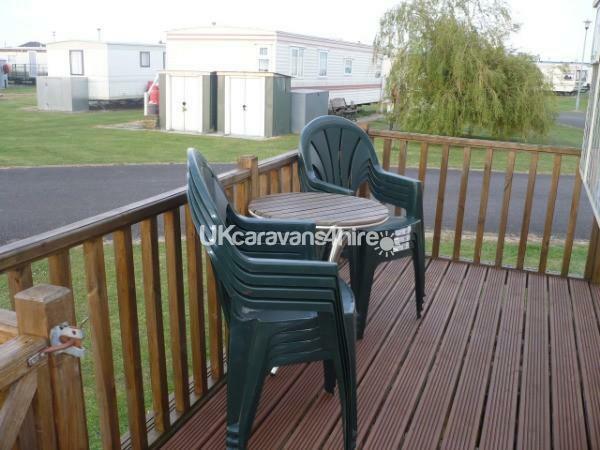 My 3 bedroom / 8 berth caravan is situated on The Chase site on Anchor Lane, Ingoldmells on a lovely corner plot with verandah and ample parking nearby. The french doors open up to the verandah which can be locked so your little ones can play safely. The caravan is surrounded by grass so children can play away from the road. There is a double bedroom plus a double and single wardrobe and dressing table with mirror and freeview TV in the master bedroom!! 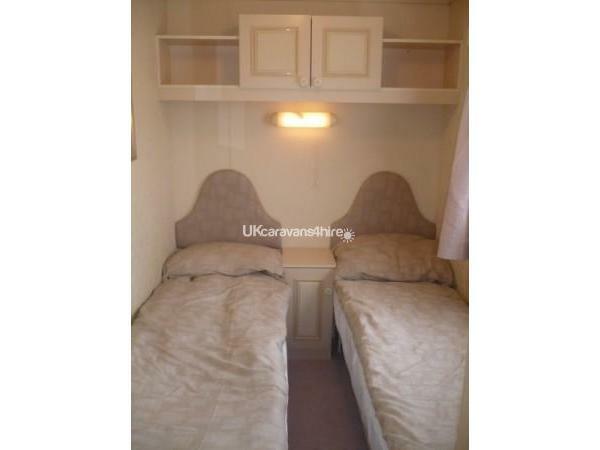 There are two further twin bedrooms, one of which (if required) can be pushed together into a double and has a single wardrobe which is glass fronted plus there is overhead storage. 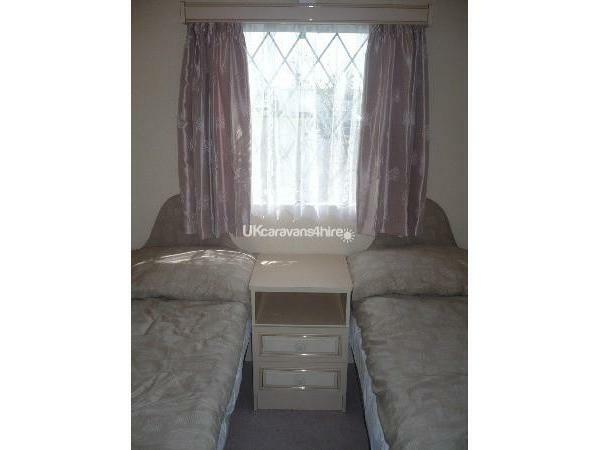 The other twin room has fixed beds with two single wardrobes and a bedside cabinet. The mattresses in both twin rooms have comfy mattress toppers. 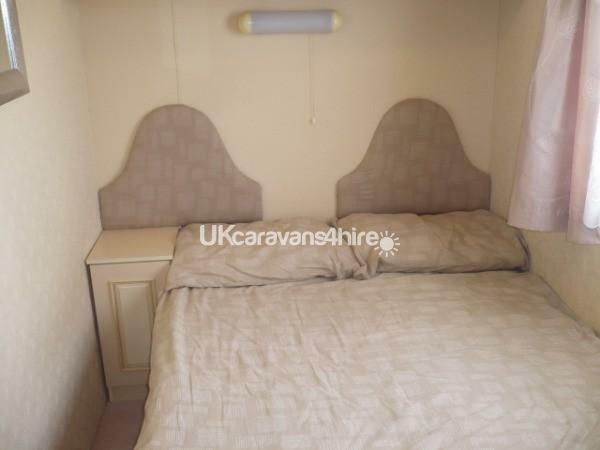 A further double bed can be easily made up in the dining area with the addition of a memory foam topper. 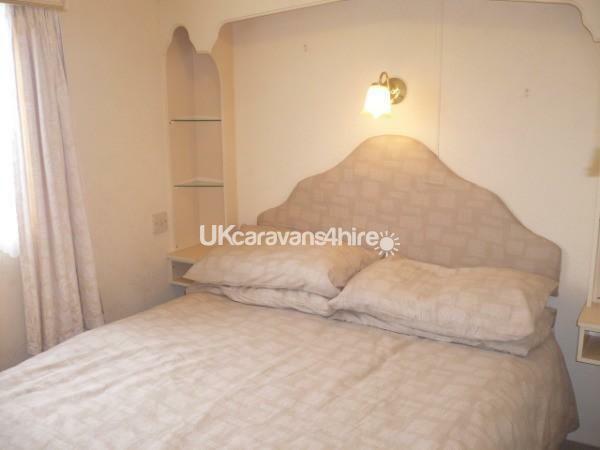 The caravan comes with 2 double duvets, four single duvets and 8 pillows. All you need to bring is your own duvets covers (alternatively bottom and top sheet), sheets and pillowcase cases. All bedrooms are neutrally decorated. The lounge which is fairly large has double doors leading to the verandah. 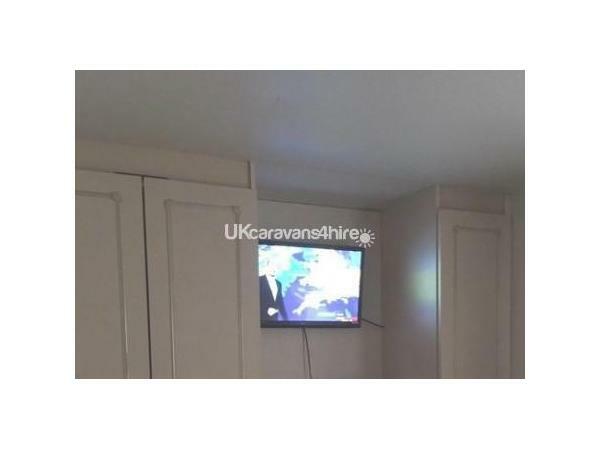 There is a large flat screen TV with built-in freeview/DVD player built in. 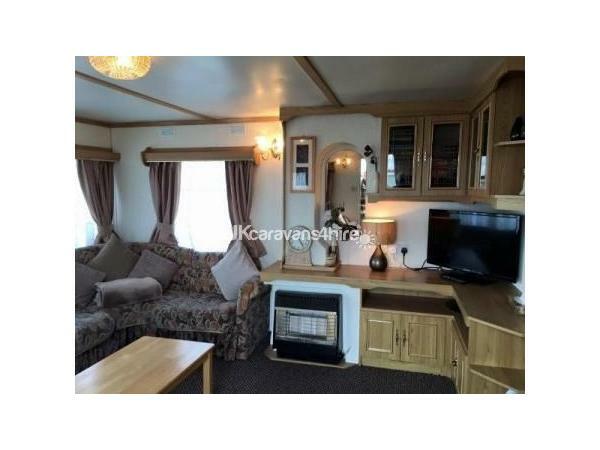 There is also a gas fire and plenty of additional storage. For children there is a cupboard full of pens, quiz books, DVDs, games, buckets and spades to keep them busy. 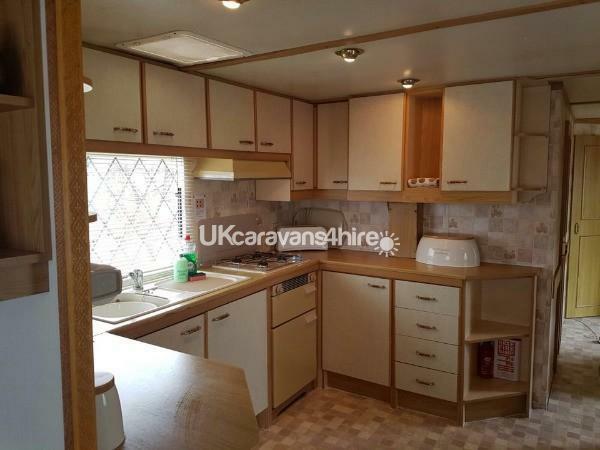 The kitchen comes with gas oven, grill and hob, under counter fridge with freezer box, microwave, kettle, toaster and all the crockery, glassware, cutlery, etc for 8 persons. The dining area is directly adjacent to the kitchen and has a rectangular dining table which can be moved to the lounge area if preferred. The bathroom comes with ½ bath ideal for bathing young children, shower, basin and new toilet. 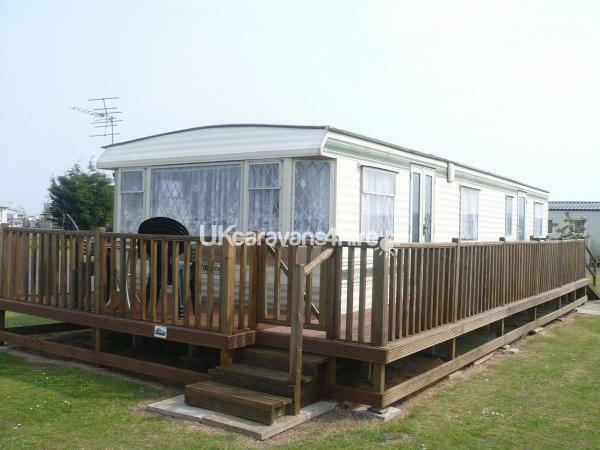 There is a verandah which runs the full length of the caravan and across the front. There are steps to the front and a ramp to the rear. There is a small table and eight chairs. There is also a rotary airer for drying washing. The Chase has a McConnells shop for your grocery requirements plus lottery, newspapers, alcohol and free ATM machine. Just a short walk away is Hardy's animal farm and a fishing lake. Not too far away is the seafront near the Bell pub, Anchor Pub and numerous shops, arcades and takeaways. Fantasy Island is a short drive away or a lovely 30 minute (approx) walk across the seafront. Alternatively you can catch the number 3 bus just outside the site which goes to Ingoldmells Central or Skegness. To check availability please press 'Contact the Holiday Home Owner' and send your requirements. This will be received by my daughter Karen Jackson who handles all enquiries and bookings. A £50 deposit secures any booking with the remaining balance due 4 weeks prior to holiday commencement. We will also require a £50 security bond which will be returned back to you on satisfaction that you have left the caravan clean and tidy. 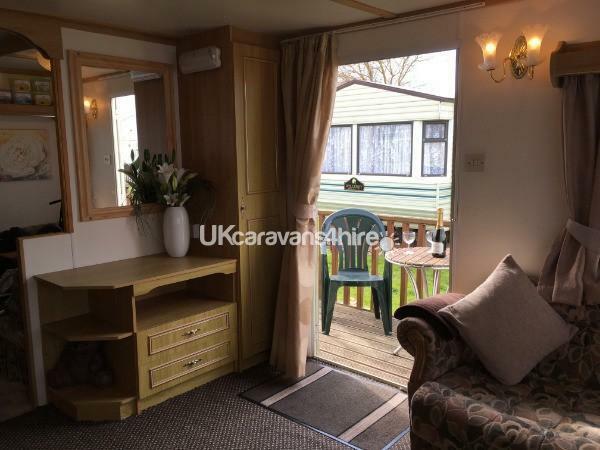 4 weeks before Karen will send you joining instructions with location map, layout of caravan and a key authorisation letter so you can collect the keys from the on-site office. 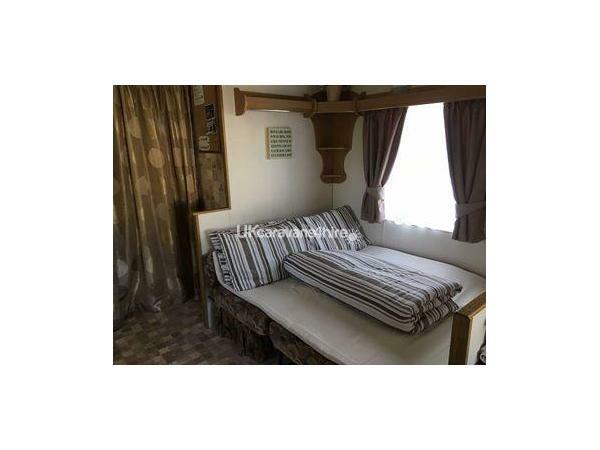 TO KEEP COSTS DOWN FOR OUR CUSTOMERS - we do not have cleaners so you will be expected to leave the caravan as you found it. 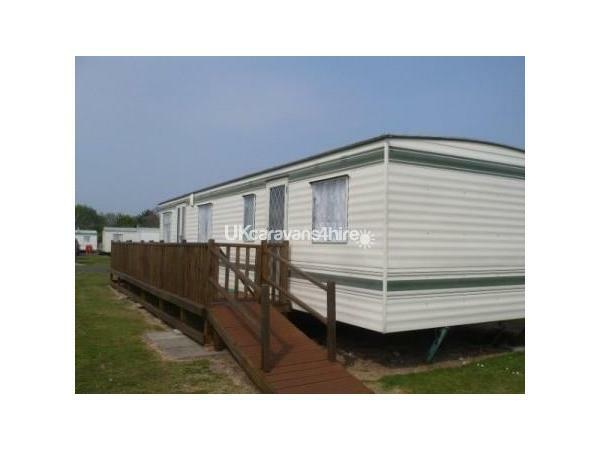 We have been letting this caravan out since 2009 and have the same Customers returning year after year. *** VERIFIED CARAVAN OWNER *** on the Ingoldmells Chapel Facebook Fan Page (ICF).